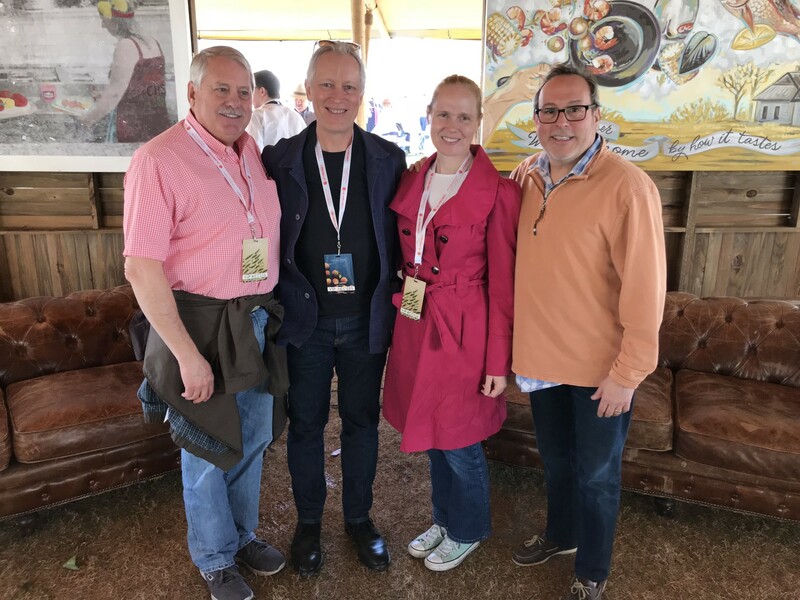 For this special episode, Sam Benrubi sits down with Doug Flemer, Courtney Mailey, and Eric Asimov to talk about wine (and cider) from the great state of Virginia! Eric Asimov is a Chief Wine Critic for the New York Times and author of the book, How to Love Wine: A Memoir and Manifesto, and co-author of Wine With Food: Pairing Notes and Recipes from the New York Times. Before assuming his current role at The Times in 2004, Asimov authored the publication’s Tastings column, To Go column, Wine School, Wine of the Times, and The Pour, as well as the $25 and Under restaurant reviews, and freelanced for WQXR, Food and Wine, Details, and Martha Stewart Living. In his 33+ years of writing about food and wine for the Times, Asimov has become a renowned expert in the wine world. Courtney Mailey founded Blue Bee Cider in downtown Richmond, Virginia in 2012. After working in economic development for 12 years, she left the corporate grind in 2010. Courtney attended cider school at Cornell University, apprenticed with Albemarle CiderWorks for one year, then starting getting Blue Bee Cider off the ground in 2012. Opening in 1980, under the direction of Doug Flemer, Ingleside Vineyards is one of Virginia’s oldest and largest wineries and produces over 18 types of wine from its estate-grown grapes. For over thirty-five years, our hand-crafted wines have won numerous awards and top honors in state, national and international wine competitions, such as the London International Wine & Spirits Competition, the San Francisco International Wine Competition and the Virginia Governor’s Cup Competition.